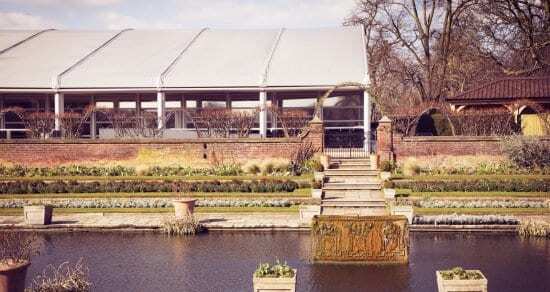 The Kensington Palace Pavilion, a project with independent charity Historic Royal Palaces, was a result of the eighteenth-century Orangery undergoing a major restoration project. 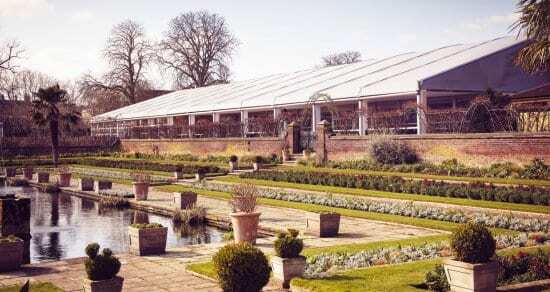 The Orangery at Kensington Palace dates back to 1704 when Queen Anne had an elaborate greenhouse built in the style of an elegant palace to protect her citrus trees from the harsh frosts of winter. The Orangery’s beautiful garden setting and graceful architecture made it a perfect venue for fashionable court entertaining away from the hubbub of Whitehall. Today, its timeless setting provides the perfect backdrop to catering for visitors, functions, and events clients, generating valuable income for HRP’s (Historic Royal Palaces) charitable cause. 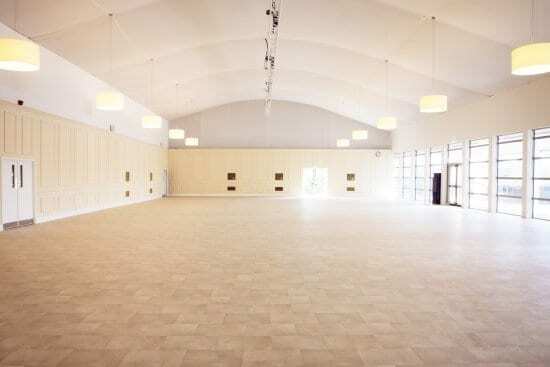 In December 2017, the Orangery closed for approximately two and a half years in order to build a three-story building behind the existing structure as well as major renovation work to the Orangery itself. 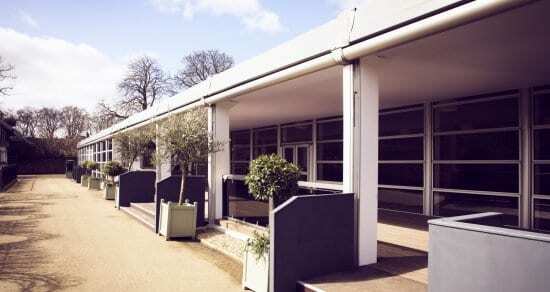 In order to maintain the daytime visitor catering offering and the existing events business, we installed a new bespoke ‘temporary’ structure sitting at the south end of the Orangery Lawns overlooking the sunken garden. We provided a turnkey solution, delivering a full end-to-end service including the bespoke temporary structure, fitted interiors and kitchen, colour matched panelled walls and bathroom facilities, and installed lighting, all of which aligned with Kensington Palace’s existing spaces. 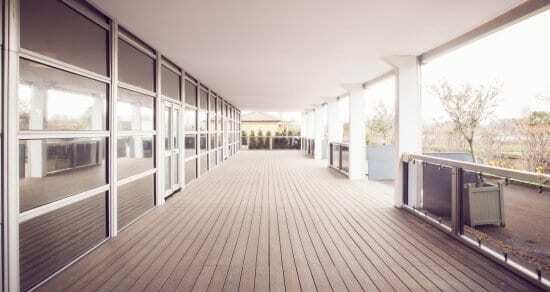 With the building in situ for two years, we managed the process and ensured that the different regulations were adhered to in their design and build – including fire regulations.